If you do a lot of video or photo editing, the one thing you want to avoid when buying equipment is nasty surprises. A slow or badly equipped PC, laptop or tablet will be a drag on your creative process. Meanwhile, a subpar monitor or laptop display could yield videos that look shockingly different than what you saw during production. And you may miss a deadline if your machine can't render the final product quickly enough. This doesn't just apply to PCs. Adobe is planning a full version of Photoshop for the iPad, and it's developing an all-in-one video tool, Project Rush, that will work across platforms. Whichever app you choose, it's crucial to do some hardware research to ensure that your equipment will work with the app rather than against it. Luckily, we've already done a good chunk of the homework for you. Here's how to pick gear for photo and video creation, whether you've got $500 or $5,000. After installing a photo or video app, you may find it's by far the most resource-hungry thing on your computer. So what do you need to rein in all that power? Storage and memory. If you're editing 4K videos or RAW 42-megapixel photos, storage space and RAM are paramount. A single RAW-image file can take up 100 MB, and 4K video files can be multi-gigabyte monsters. Without enough RAM to handle such files, your computer will slow to a crawl. And a lack of storage and a non-SSD program drive will make your PC drag to the point where you'll constantly be deleting, copying and juggling files to get a project finished. Sixteen gigabytes of RAM is really the bare minimum on laptops and desktop PCs for videos and photos, in my opinion, but 24GB or 32GB is ideal. I'd also recommend an SSD program drive, at a minimum, and preferably an NVMe M.2 drive with speeds of 1,500 MB/s or higher. If you edit videos on Mac or PC, your best bet for speed and flexibility is to use a fast USB 3.1 or Thunderbolt external hard disk or SSD. Processors and multi-threading. Photo and video editing benefit more from multi-core processing more than just about any other type of app. Multi-threading can help you finish rendering and other activities more quickly and make switching between applications more seamless. Higher clock speeds boost everything as well, and overclocking, if done safely, can accelerate video- and photo-editing chores just like it does for gaming. When choosing a CPU for a laptop or PC, it's instructive to look at lists like this one from PassMark and compare the ranking (speed) of a chip to its price. 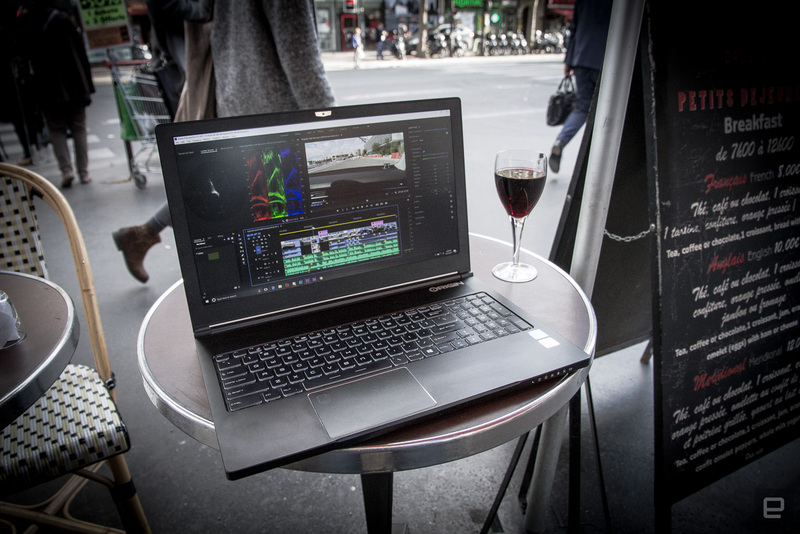 Professional video or photo editors who want the utmost in performance without regard to price might choose a multi-core Xeon or Core i9 processor. If you want to spend less than four figures, though, you can get AMD's 16-core Ryzen Threadripper 1950X for around $750 ($1,000 less than the 18-core Intel Core i9-7980XE), and you'll take just a 25 percent performance hit. Graphics cards. When selecting a GPU, it makes a big difference whether you're doing video or photo editing and what kind of display you have. Adobe's Lightroom and Photoshop, the two most popular photo-editing packages, benefit little from a GPU; you're better off having more RAM and faster storage. 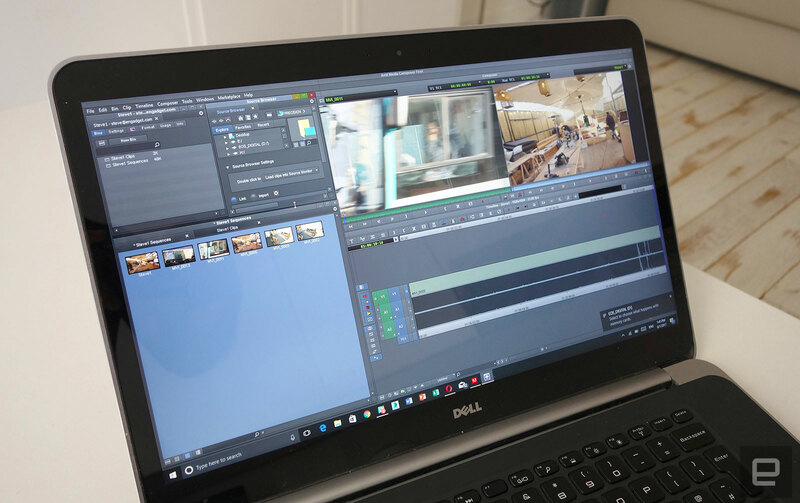 Video-editing apps like Premiere Pro CC and DaVinci Resolve, on the other hand, use your GPU for everything from playback to rendering, so if that's your main activity, you should get the best one you can afford. Adobe recently added GPU support to Lightroom CC, but it only helps if you have a recent, high-end GPU and 4K monitor. If you're running an older or cheaper GPU at 1080p, you could actually see worse performance with the GPU enabled because of the extra overhead. For video editing, any supported graphics card will help, especially for rendering, but the more you spend, the less you'll have to wait. There's one important caveat to this. If you're planning on buying a 10-bit monitor with 1.07 billion colors for Photoshop, be careful which graphics card you select. Consumer models from NVIDIA and AMD like the GeForce GTX 1080, new RTX 2080 or Radeon RX Vega 56 don't support OpenGL on Photoshop and other Windows 10 apps, so you won't benefit from the extra colors of a 10-bit display. 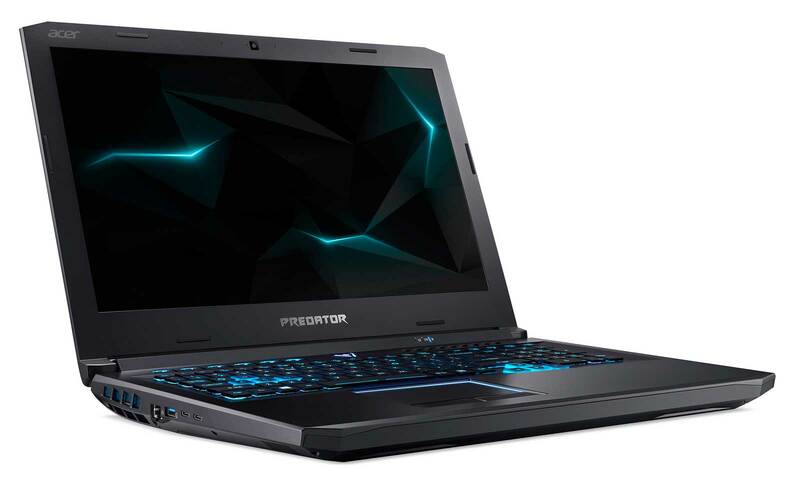 To get that, you'll need a laptop like the Origin NT-15 Quadro (above) with a much more costly model like NVIDIA's Quadro P4000 or the AMD Radeon Pro WX 7100. Monitor. Buying a monitor might be your trickiest decision. High resolution and maximum color accuracy are a must. If what you see on the screen doesn't accurately represent your vision, then the public or clients might be disappointed with your work. With HDR becoming the norm on consumer TVs, you'll want to strongly consider that as well. The problem is, manufacturers are often not forthcoming about a display's true specs and capabilities. A monitor marketed as having HDR and a billion colors may in fact not have a true 10-bit panel nor be bright enough to meet the official HDR standard. (See our guide on how to buy an HDR monitor for more details.) Another issue is setting up HDR on Windows 10, which is a massive pain at this point. That said, you probably don't need to splurge on a super-pricey monitor. An 8-bit monitor that uses frame-rate control (FRC) to simulate more colors will be fine for most creators, and it costs a lot less. A cheaper, non-certified HDR monitor will also meet the needs of most video and photo editors. There are only a few true, professional 10-bit monitors that hit the magic 1,000-nit mark considered optimal for HDR10 work, including Acer's new ProDesigner BM270 and the Dell UltraSharp 27 4K HDR monitor. Not surprisingly, you'll pay dearly for them (think $1,400 and up). So even if you have a decent budget, this is one area where you might have to compromise. That doesn't mean you have to settle for inaccurate colors though. Instead, buy a monitor that was set up by the manufacturer to have accurate colors from the factory, like ViewSonic's $900 32-inch VP3268 or the $700 Benq EW3270U. MacBooks don't have GPUs as fast as you can get on Windows 10 laptops (the 4GB Radeon Pro 560X is the best you can do), and they suffer from embarrassing keyboard problems. They also lack the ports that come standard on PCs. They're still incredibly popular with graphics professionals, because despite the flaws, macOS is simpler and more powerful than Windows 10. MacBooks are also better designed than most PCs, and Apple offers better support than the lion's share of PC vendors. If you really want a MacBook Pro and are willing to live with some flaws and slower rendering, your best bet might be to either go with the new models or get an older, pre-butterfly-keyboard one. 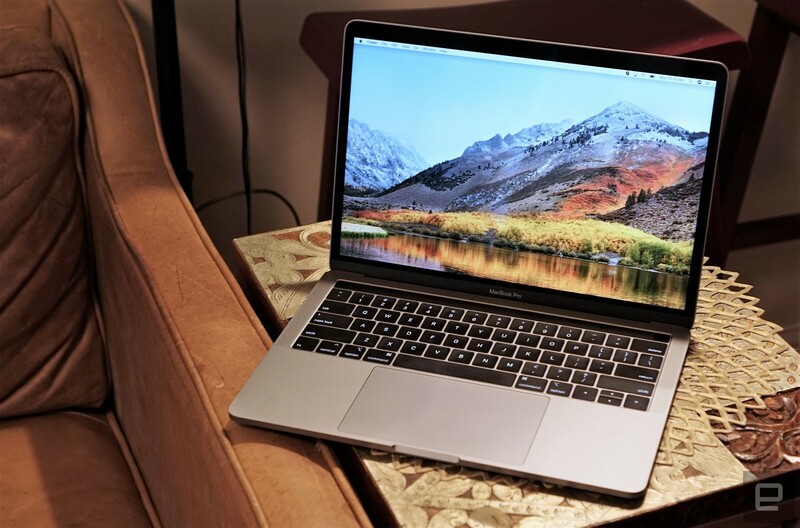 Video users will want the 2018 MacBook Pro 15-inch model with discrete AMD graphics, starting at $2,400, while photo editors could spend a bit less and get the $1,800 and up 2018 13-inch, integrated-graphics model. Just be sure to get one with at least 16GB of RAM. Apple is fire-selling the older MacBook Pro models with the unprotected butterfly keyboards, but it's hard to recommend those given the reported problems. Rather, you might be best off buying a used, pre-2015 model with a thicker, more durable keyboard. Another option for photo pros who really want to travel light is the two-pound MacBook, but it's barely powerful enough to run Photoshop or Lightroom CC decently. If you're in the market for a desktop, on the other hand, an $1,100 iMac will do the job well, preferably if it has discrete AMD graphics and 16GB or more of RAM. The iMac Pro is even better, of course, with its Radeon Pro graphics and 32GB of RAM, but we're talking about $5,000 and up. For the ultimate Mac video-and-photo machine, though, you might want to wait for the Mac Pro to arrive in 2019. I used to believe that the best way to get the maximum power for your money was to build your own PC. You could carefully choose each component to maximize the price-to-performance ratio, and they could often beat the price of a similarly configured model from manufacturers like Dell and HP. Nowadays, though, manufacturers have become more aggressive with desktop-PC pricing, and they have much more purchasing power than you and I. For example, let's say you have a decent budget of $2,000. You'd do pretty well by choosing Dell's XPS Tower Special Edition (8930) PC. You get a mid-tower desktop PC with Intel eighth-generation Core i7-8700K 6-core CPU, 32GB of DDR4 2,666MHz RAM, an NVIDIA GeForce GTX 1080 GPU and a 256GB M.2 PCIe x4 SSD program drive/2TB 7200-RPM multimedia drive. Could we do better by building our own PC? Not easily. Component prices, especially GPUs, are less astronomical than they were a few months ago, but they're still higher than normal, thanks to the demands of crypto mining. At the moment on Amazon, we can find an Intel i7-8700 6-core CPU for $350, ASUS ROG STRIX motherboard for $200, ASUS GeForce GTX 1080 8GB ROG STRIX graphics card for $570, Patriot Viper Elite Series 32GB (2x16GB) DDR4 2,666MHz for $290, a WD Black M.2 Gen 3 x4 NVMe SSD for $100 and a 2TB Seagate Barracuda HDD for $60. A 650W power supply is $60, a basic mid-tower case $75 and other components (CPU cooler, thermal paste, etc.) add another $100 or so. Finally, Windows 10 Home OEM for system builders costs $100. That adds up to $1,955, just shy of the price of Dell's PC. Both systems could handle video and photo editing (and VR and gaming) chores with aplomb. However, the Dell system also includes a year of hardware service with on-site/in-home service and remote diagnosis, something you obviously wouldn't get on a home-built system. You could also finance it fairly easily through Dell, while you'd have to chat with a bank to do that with your home-built PC. 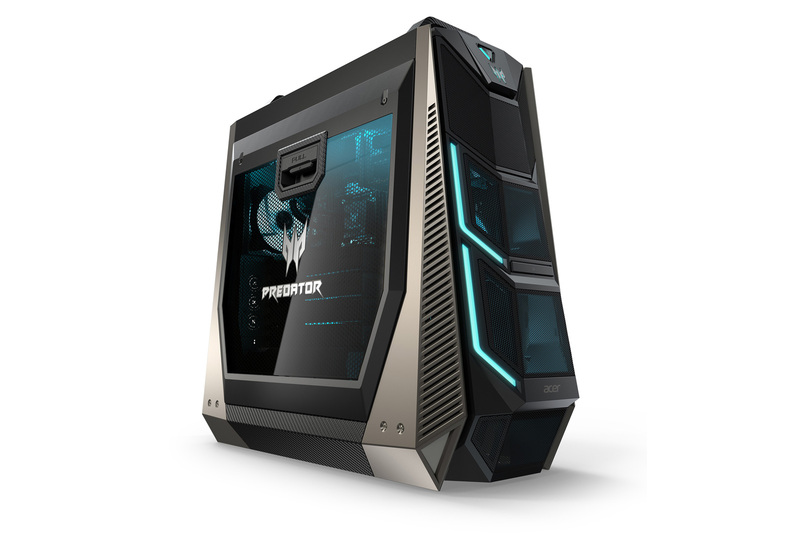 Should you decide to go for a pre-built desktop machine, gaming models like Acer's Predator Orion 9000 (above), with up to an 18-core Intel i9 CPU, would also be ideal for photo and video editing. If you want a true workstation, HP's Z-class models are "insanely upgradeable," and for the ultimate all-in-one, don't forget Microsoft's Surface Studio 2, with NVIDIA discrete graphics, a Surface Pen and tiltable screen. That said, you could certainly build a more interesting PC with multi-GPUs and liquid cooling than you could probably buy. Whichever way you go, be sure to pick the components that will serve you best. If you're strictly doing Photoshop editing, the processor speed and memory are key; for video editing, choose the best GPU you can afford. Given the new boom in lightweight, powerful laptops, they might be your best bet rather than a desktop PC. You can thank gamers for this trend, because a lot of the models are aimed them, but they work just great for photo and video editing too. As a graphics pro, however, you might have slightly different needs, especially around the display. I've already talked about the best high-end lightweight gaming laptops for your budget. That said, if you don't need the portability offered by those, there's no reason you can't go for a regular, heavier and more powerful (and often more expensive) laptop like the 17-inch Razer Blade Pro or HP's Omen line. 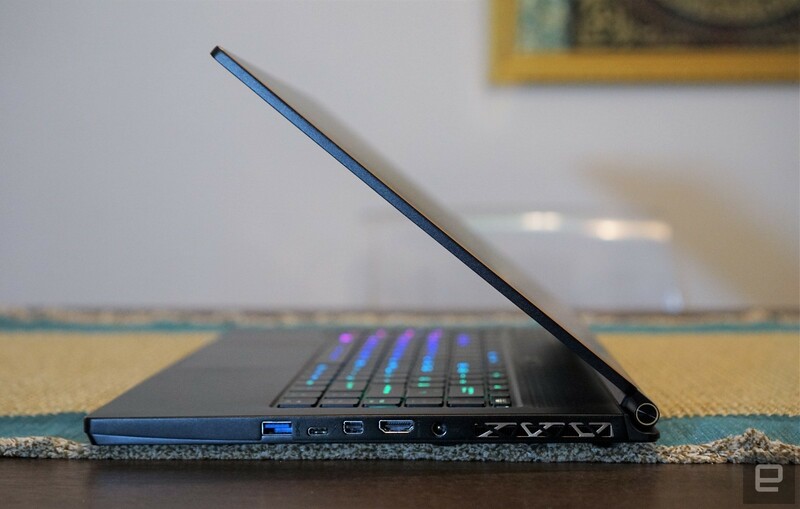 Other more-business-oriented laptops might serve you better, especially if you have a need for NVIDIA's professional Quadro graphics. MSI, for one, has a lineup of workstation-class laptops with Quadro GPUs, including a WS63 model with P4000 (equivalent to GTX 1070) graphics. These cards will give you the best route to stable rendering and true 10-bit graphics, but they'll cost a lot extra: While MSI's excellent GS65 Stealth Thin (above) costs $1,900, the WS63 with Quadro P4000 goes for a cool $3,500. If you're into editing photos only, you can go for more portability by sacrificing the discrete GPU. That also opens up the possibility of getting a touchscreen or stylus notebook for airbrush work or convertible models more suited to drawing. Laptops in that category include Dell's XPS 15 2-in-1 and Microsoft's Surface Pro. 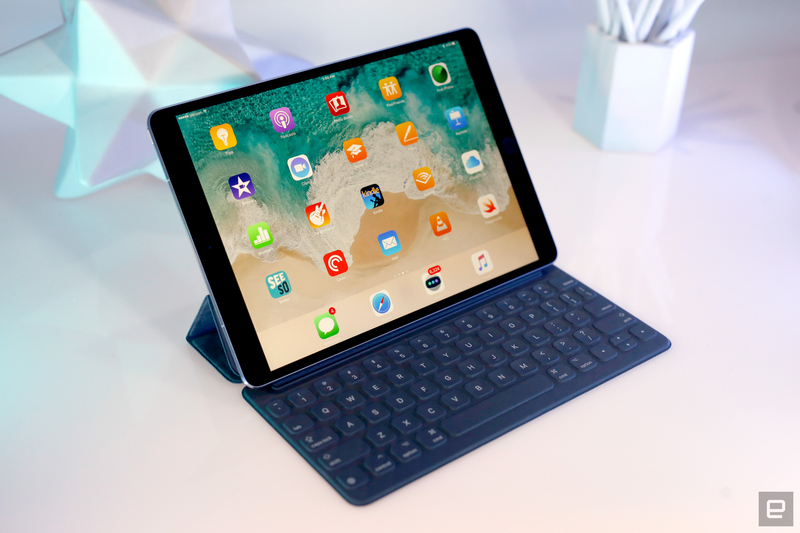 To compete with Microsoft's Surface lineup and other convertible Windows 10 laptops, Apple wants you to consider the iPad Pro. Like rival models, you can get it with Apple's Pencil accessory, and the latest models have superb 120Hz Retina screens, multitasking and Apple's powerful A10X CPU and GPU. Apple even says you can "edit a 4K video on the go" or "render an elaborate 3D model." It will run up to 10 hours on a charge, to boot. That's all great, but the main challenge for video and photo editors is that productivity apps like Adobe's Photoshop and Premiere Pro CC are stripped down or not available at all on iPad. Luckily, Adobe has promised to make a full-version of both Premiere (via Project Rush) and Photoshop CC available for iPad. Until those products come on the market, though, you'll probably need a full PC, unless you're more of a casual editor. Photo and video editors who want to be more hands-on now have some great options with external controllers. Microsoft's Surface Dial might be the best known of those right now, especially since Photoshop added support for it last year. For Lightroom and Photoshop, the Loupedeck+ controller is relatively budget friendly at $239, and as I detailed with the original Loupedeck, it makes photo editing faster and more tactile. 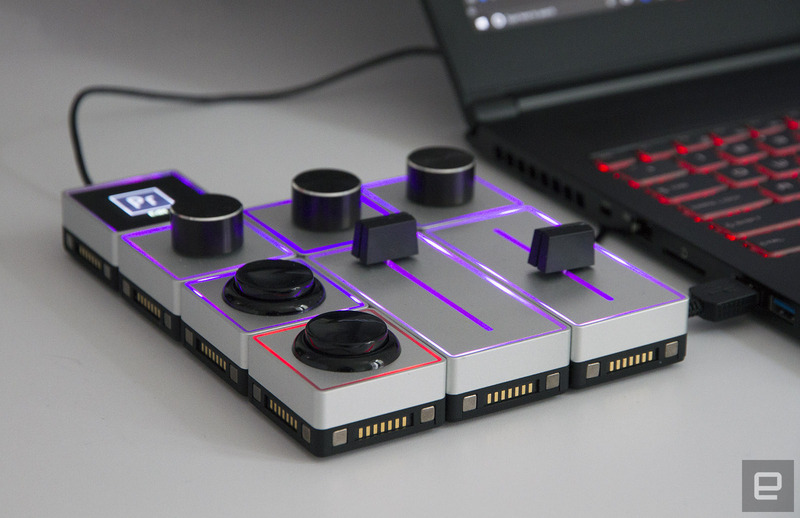 The modular Palette Gear device (above) is ideal for Premiere Pro editing, letting you jog and trim more easily than with a keyboard and mouse, and the Sensel Morph is a trackpad that's equally at home editing video or photos. Making photos and video look pretty requires not only great apps but also hardware that can handle them. Sure, you can spend $2,500 and up for professional hardware with NVIDIA Quadro GPUs and Intel Xeon processors, but that can get expensive fast. Luckily, graphics pros get one break -- photo and video editing apps require nearly the same kind of hardware as a gaming PC. That gives you a lot of options, both for laptops and desktops, at much more reasonable prices.